OK so this is quite unusual usually because the Potato Diet is often pushed by Vegans and of course this is a no no. However an Egg is low in calories packed full of goodness and obviously protein the building blocks of life! The secret to a naughty fried egg is a good non stick pan one drop (see picture) of extra virgin olive oil and cook on high for one minute to heat the pan and break the egg, then reduce temperature to low until you see the yolk heat (usually a little bubble appears in the yolk. You can flip it ‘over easy’ but you do risk breaking it with so little oil. This is a small egg. Often in the UK sold in the ‘essentials’ section so very good value! Of course if you are cooking for a family member at the same time once yours is done you can raise the heat splash in some vegetable opil and break in a few eggs or whisk them into an omelette so your partner does not go hungry. Microwave the 4 potatoes in the microwave for on average 20 minutes then turn them upside down for another 20 minutes (800w Oven) until cooked but still firm enough to slice. Remove potatoes and allow to cool on a plate they will stay hot for a long time until cut just before serving and as they cool they firm up. Heat the pan and add one drop of Extra Virgin Olive Oil. spread it with your finger in the circle the size of a fried egg. 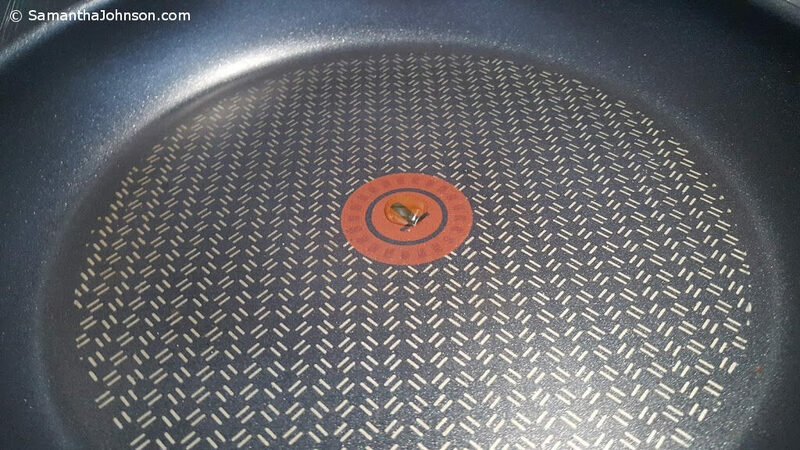 Do this before the pan gets too hot obviously! Crack the egg onto the oil spot. and cook on high for 1 minute then reduce the heat to low until the egg is cooked. Slice the jackets and layer into a nice presentation. 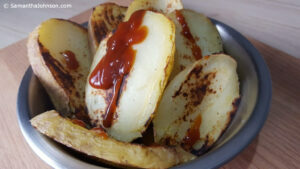 Drizzle Marmite (optional but remember it is rich in essential B vitamins) across the potato slices. 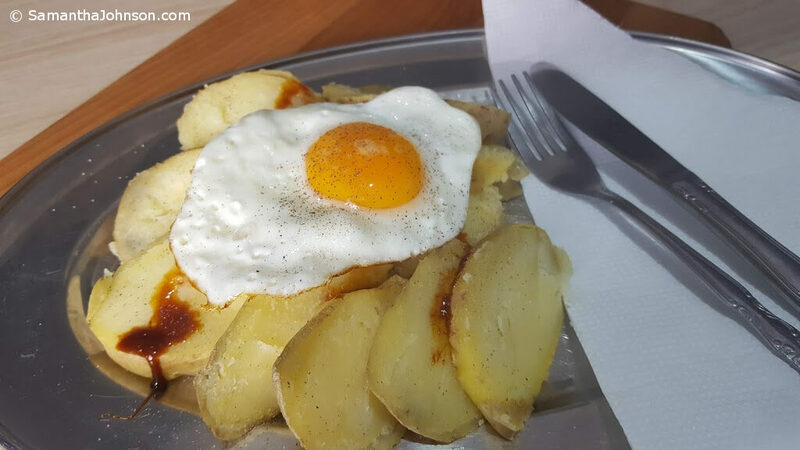 Season the Egg and the potato with salt and pepper. But remember you do not need a lot of salt as Marmite is salty. Carefully slide the egg onto the top of the potato slices. Note I prefer an egg that you can slice and it breaks and covers the potato with the liquid yolk. However if you are concerned about this for health reasons you can flip the egg and cook the yolk out, or cook it ‘over easy’. 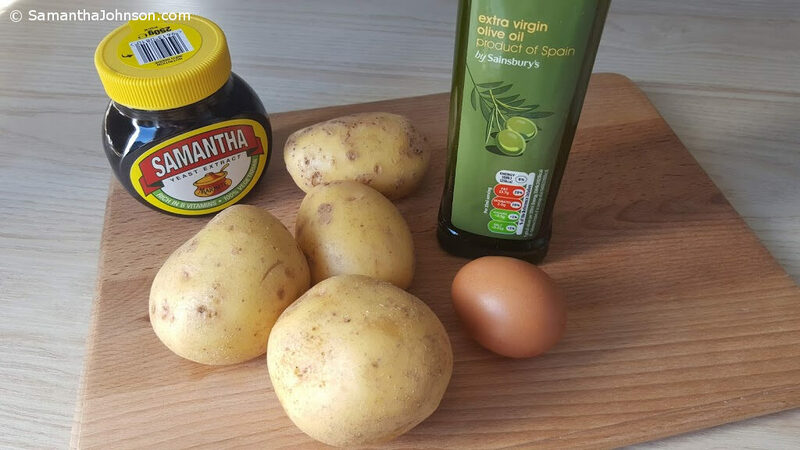 Lift out the egg and carefully place it onto the top of the potato slices.